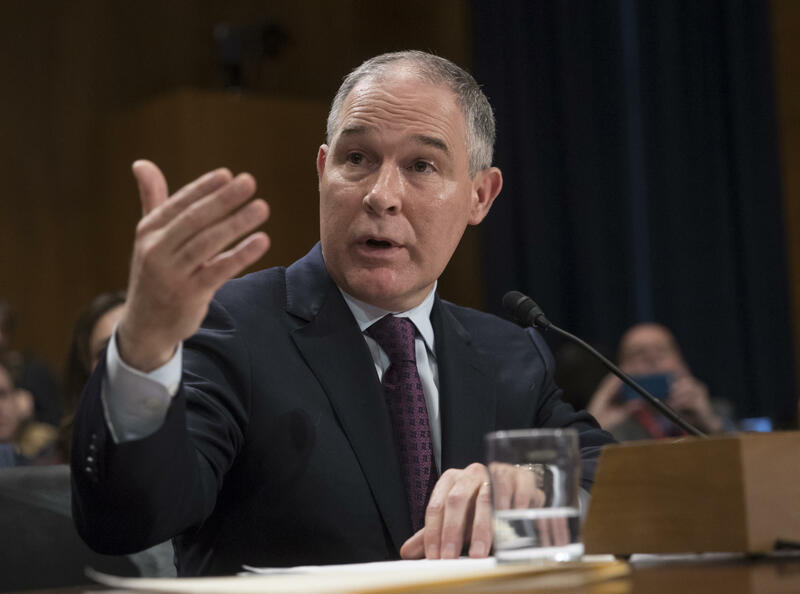 Several weeks after taking the helm of the Environmental Protection Agency, Administrator Scott Pruitt was running late and stuck in Washington, D.C., traffic. Sources tell CBS News that he wanted to use his vehicle's lights and sirens to get to his official appointment, but the lead agent in charge of his security detail advised him that sirens were to be used only in emergencies. Less than two weeks later that agent was removed from Pruitt's detail, reassigned to a new job within the EPA. Why are we talking about Scott Pruitt, Trump's embattled EPA administrator? Special Agent Eric Weese, a 16-year veteran of the EPA, was replaced by Pasquale "Nino" Perotta. Perrotta now leads Pruitt's unprecedented 24-hour Protective Service Detail, which determined that Pruitt needed to fly in first class because of "specific, ongoing threats associated with the Administrator's air travel." The security detail, "shifted his class based on certain security protocols that require him to be near the front of the plane," the EPA wrote in a letter last month. Will Trump fire Scott Pruitt, EPA chief, over apartment controversy? Pruitt's lavish travel, which totals more than $182,000, according to the Environmental Integrity Project, has included first class domestic and international flights for him and his security detail, private charters and a military jet. Reports on his expensive travel arrangements began a torrent of negative headlines over the past several months that peaked over the last week with stories examining his housing arrangements and very generous raises for two of his staffers. The bad publicity has cast an ethical cloud over the EPA administrator that's put him in danger of being the next casualty in the Trump Cabinet. "I can't make any statements about the future of Scott Pruitt," White House spokesman Hogan Gidley told Fox News Thursday. In a statement, EPA chief of staff Ryan Jackson told CBS News, "We have no knowledge of anyone being removed from the detail for not using lights and sirens." Asked why Weese was removed, an EPA spokesman said "We do not comment on personnel matters within EPA's protective service detail." Recently however, two Democratic senators wrote a letter to the EPA asking, "Under what circumstances did the prior Special Agent in Charge leave?" Sens. Sheldon Whitehouse and Tom Carper also said in the letter that they want to know why Perrotta and one of his business partners received an EPA security contract. Perrotta, they noted, citing the Associated Press, runs a side business called the Sequoia Security Group. His business partner, Edwin Steinmetz, who runs another security company, was awarded a $3,000 contract to sweep Pruitt's office for bugs. "Two other contracts," both under the $3,500 threshold for public reporting, "were given for the purchase of biometric locks." "These facts raise questions about Mr. Perrotta's compliance with EPA regulations and concerns that he may have used his position at the agency to influence the award of EPA contracts to a person or company in which he has a financial interest," the Senators wrote. Perrotta did not immediately respond to a request for comment. Steinmetz told CBS News he can't confirm or deny any clients, but said, "We are under the required bid limit so they got a fantastic price. No one received a kickback for the service." CBS News' Laura Strickler contributed to this report.